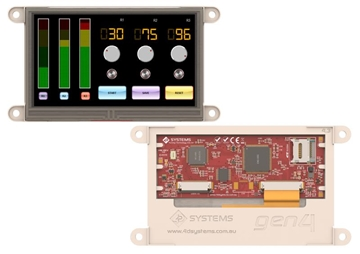 The gen4 4.3” Diablo16 Integrated Display Modules are part of the latest gen4 series of modules Designed and Manufactured by 4D Systems. The gen4 series was designed specifically for ease of integration and use, with careful consideration for space requirements and functionality. 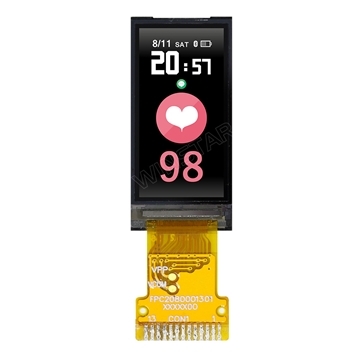 These specific gen4 modules features a 4.3” colour TFT LCD display, and come with options for Cover Lens Bezel (CLB), Resistive Touch and Capacitive Touch. They is powered by the well-known 4D Systems Diablo16 Graphics Processor, which offers an array of functionality and options for any Designer / Integrator / User. 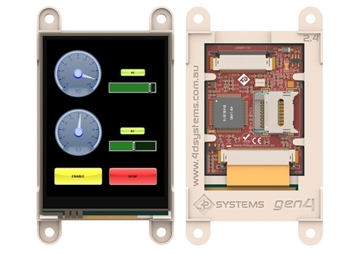 The 4.3” Diablo16 Integrated Display Module features a TFT LCD Display, is capable of Touch Detection, microSD memory Storage, GPIO and Communications, along with multiple millisecond resolution timers, and Audio Generation. 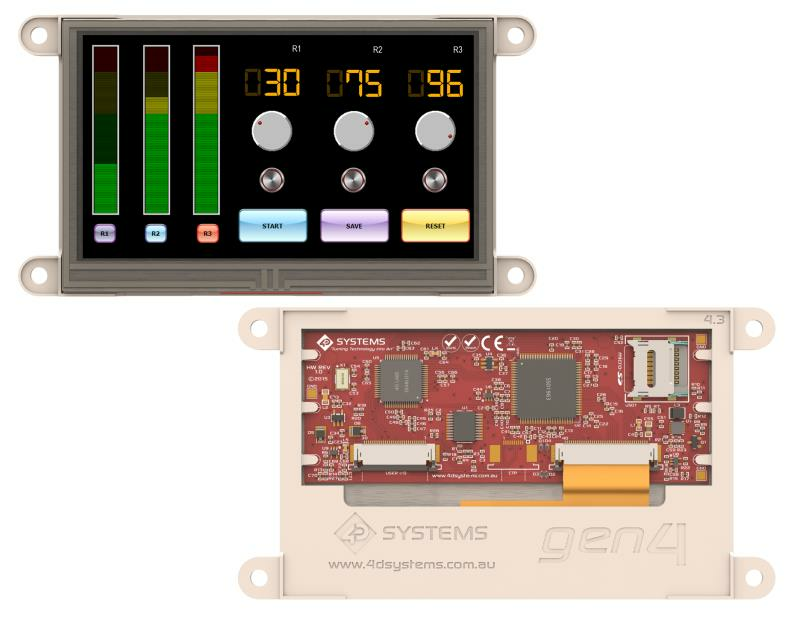 The gen4 Series is 100% compatible with the Workshop4 IDE and its 4 different development environments, providing the User with a wealth of options for programming and controlling their system. 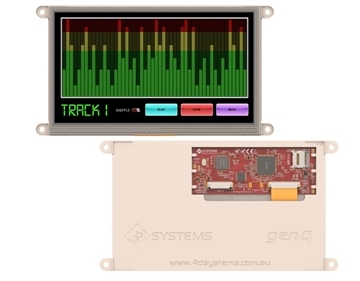 The gen4 series of Integrated Display Modules features a 30 pin ZIF socket, designed for a 30 pin FPC cable, for easy and simple connection to an application or mother board, or for connecting to accessory boards for a range of functionality advancements. The gen4 series of modules has been designed to minimise the impact of display related circuitry, and provide a platform suitable for integration into a product. Application boards can sit flush on the back of the gen4 if required, as the display related electronics sit inside the plastic mounting base, leaving the application board surface clear for User circuitry. 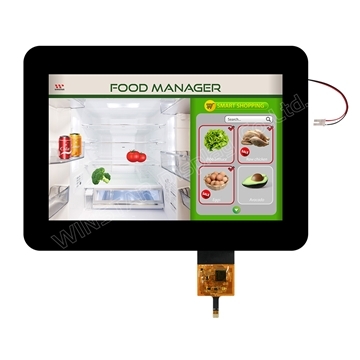 Powerful 4.3” Intelligent LCD-TFT display module powered by DIABLO16. 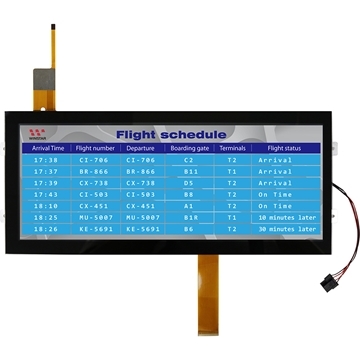 480 x 272 Resolution, RGB 65K true to life colours, TFT Screen with integrated 4-wire Resistive Touch Panel (on DT model only), integrated Capacitive Touch (on DCT model only), or non-touch. 6 banks of 32750 bytes of Flash memory for User Application Code and Data. 32Kb of SRAM purely for the User. 16 General Purpose I/O pins for user interfacing, which include 4 configurable Analog Inputs. The GPIO is variously configurable for alternative functions such as: 3x I2C channels available // 1x SPI dedicated for SD Card and 3x configurable SPI channels available // 1x dedicated and 3x configurable TTL Serial comm ports available // Up to 6 GPIO can be used as Pin Counters // Up to 6 GPIO for PWM (simple and Servo) // Up to 10 GPIO for Pulse Output // Up to 14 GPIO can be configured for Quadrature Encoder Inputs (2 channels). 30pin FPC connection, for all signals, power, communications, GPIO and programming. On-board latch type micro-SD memory card connector for multimedia storage and data logging purposes. DOS compatible file access (FAT16 format) as well as low level access to card memory. Dedicated PWM Audio pin driven by WAV files from micro-SD card, and for sound generation, for an external amplifier. Display full colour images, animations, icons and video clips. Supports all available Windows fonts. 4.0V to 5.5V range operation (single supply). Module dimensions: (D): 127.6 x 69.3 x 6.7mm // (D-CLB): 123.0 x 84.5 x 7.4mm // (DT): 127.6 x 69.3 x 7.8mm // (DCT-CLB): 123.0 x 84.5 x 8.4mm. 4x mounting tabs with 4.2mm holes for mechanical mounting using M4 screws (D and DT only). CE Compliant – please ask for CE declarations from our Support Team.